Dr. Andrew Dent (United Kingdom) is a leading expert in the field of sustainable and innovative material strategies. 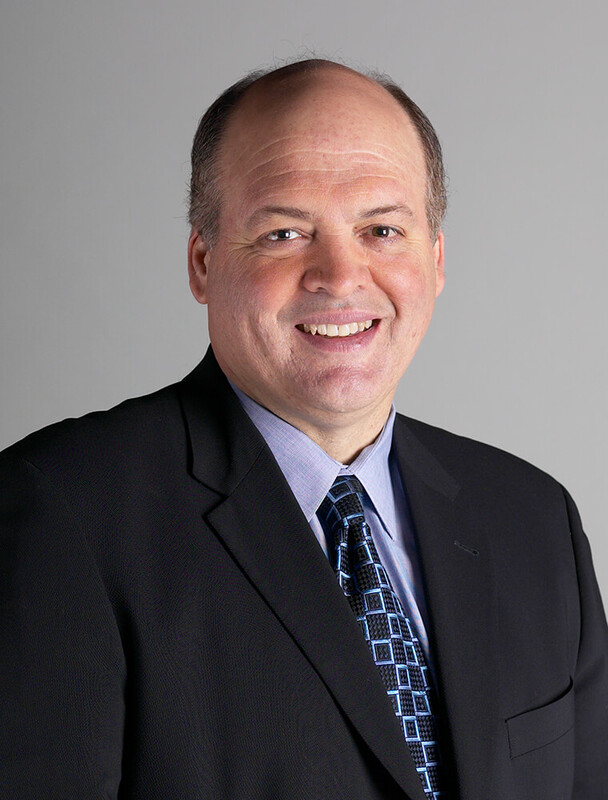 He is the Executive Vice-President & Vice-President, Library and Materials Research, Material ConneXion, Inc., and Chief Material Scientist at SANDOW, where he plays a key role in the expansion of their technical knowledge. He also directs the implementation of consulting projects as well as the selection of innovative, sustainable and advanced materials for Material ConneXion’s library. In his current role Dr. Dent has helped hundreds of clients—from Whirlpool and Adidas to BMW and Procter & Gamble—develop or improve their products through the use of innovative materials. At the vanguard of his field, his insights continue to play an important part in creating a new generation of more sustainable products. ZECHA is one of the world’s leading creators and operators of award-winning, distinctive luxury hotels and resorts. 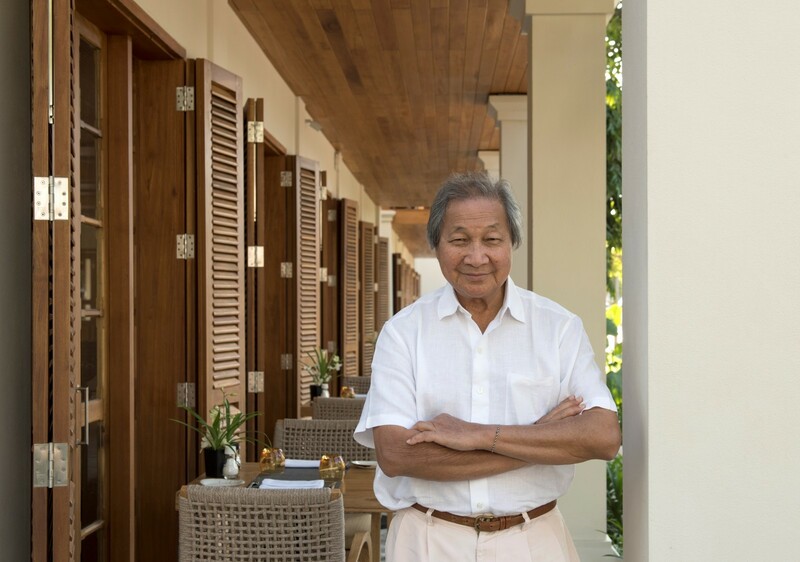 As the founder of world famous Amanresorts, and in a career spanning more than 45 years, he has founded a series of hotel management companies and conceived and developed more than one hundred hotels. He is recognised globally as one of the foremost visionaries within the hospitality industry. In 2017, ZECHA and his team under a new management structure, launched Azerai, a hotel brand positioned as a new benchmark in affordable luxury. 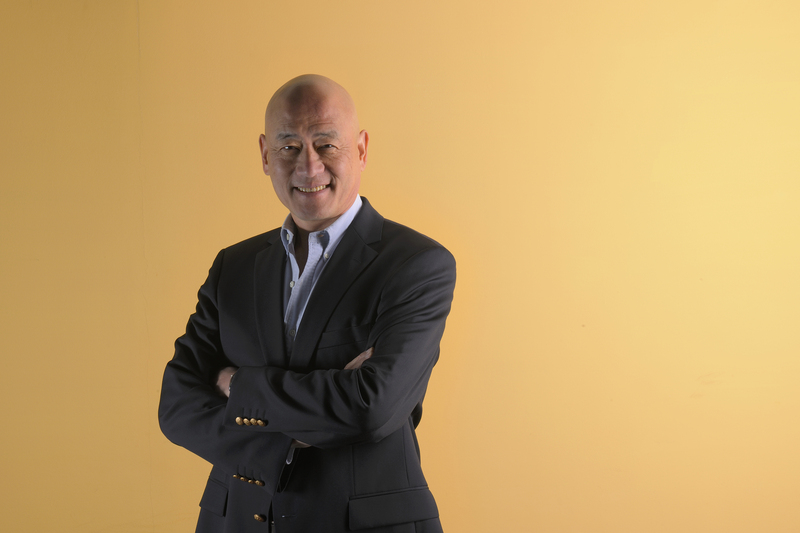 Antony Lo, CEO of Taiwan’s Giant Global Group, who goes by Tony, is more than a successful businessman who transformed a local original equipment manufacturer (OEM) into a global brand. Unlike other Taiwanese manufacturers who were content with being suppliers for foreign brands, Giant, under Lo’s leadership, took the road less travelled by launching its own brand in 1981. For Lo, cycling is more than a business; it is a way of life. He’s a cycling enthusiast on a mission to spread the gospel of cycling around the world. Besides promoting the introduction of bike lanes to Taiwan, Giant also collaborated with the Taipei Municipal Department of Transportation to develop the YouBike public bicycle sharing service. By providing affordable and convenient access to bicycles throughout the city for short-distance trips, the YouBike program provides a popular and viable alternative to motorized public transportation and Taiwan’s ubiquitous motor scooters, thereby reducing traffic congestion, noise, and air pollution. Perhaps what makes the Giant brand truly unique is the immersive experience of each Giant retail store. Although “product evangelism” is a commonly used buzzword in many industries today, employees who believe so strongly in Giant’s high-end bicycles that they freely try to convince others to buy and use them are an essential part of the Giant Cycling World experience. Served for the Royal Army of Morocco before moving to Paris to work in the luxury tea industry at the age of 23. Fifteen years later in 2008, the luxury tea brand TWG Tea was launched in Singapore. TWG Tea is abbreviated from The Wellbeing Group and its positioning as a luxury lifestyle concept was the brainchild of Taha Bouqdib, Maranda Barnes and Rith Aum-Stievenard. The signature logo celebrates the year 1837 when Singapore became a trading post for teas, spices and fine epicurean products. Its first tea salon and boutique was established in August 2008 at Republic Plaza. In its first year of trading, TWG Tea sold over 650 tons of tea, fetching US$30 million in profit. Strategically, the rationale for setting up headquarters in Singapore was its neutrality, as it is not a tea-producing country, and its geographical position, making it the perfect base from which to conduct business with plantations across Asia, and being closer to those sources. The business incorporates retail outlets, tea rooms and an international distribution network in 40 countries around the world. It opened 51 luxurious locations in the major fashion capitals from London to Tokyo, Dubai to Hong Kong, and with 9 luxurious locations in Singapore. 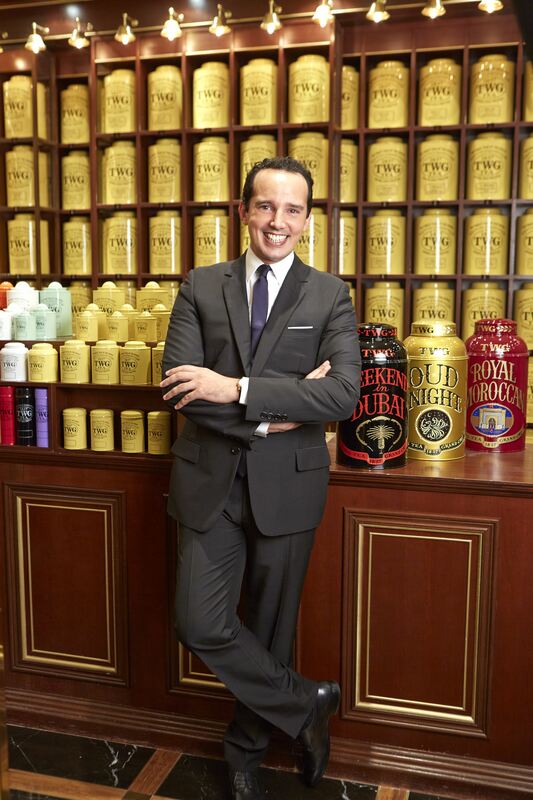 Dedicated TWG Tea Boutiques are found at Dean & DeLuca in New York and Harrods Knightsbridge in London. Tea tasters sample and select over 46 tea-producing regions and 800 single-estate, harvested teas and exclusive blends, with new varieties offered every season in collaboration with the world’s most renowned growers. In 2013, 2014, and 2015, Bouqdib was listed in the famous “300 List” of Singapore’s power elite published by Tatler magazine. He was also celebrated on the cover of Forbes Middle East in February 2014, confirming TWG Tea’s position as the world’s most luxurious tea brand. Most recently, Bouqdib was decorated the Order of National Recompense in July 2015 from Morocco’s King Mohammed VI in recognition for his contributions in the establishment of TWG Tea. Born in 1952, Ho Kwon Ping is the Executive Chairman of Banyan Tree Holdings, which he co-founded with his wife Claire Chiang in 1984. Trained as a development economist, Ho carved his early career as an economics editor with Far Eastern Economic Review. In 1981, he made a decision to leave journalism and take over his father’s business empire. After more than a decade of managing the conglomerate business, he eventually found a calling in hospitality based on delivering authentic experiences, a sense of place and sustainability. In May 2000, Ho was conferred an honorary doctorate by Johnson & Wales University, and later received the London Business School 2005 Entrepreneurship Award. In 2008, he was named CEO of the Year at the Singapore Corporate Awards and recipient of the Hospitality Lifetime Achievement Award at the China Hotel Investment Summit in Shanghai in 2009. As Chairman of Singapore Management University (SMU), Ho was awarded the Singapore Government’s Meritorious Service Medal for his contribution in the founding of SMU. In 2010, he became the first Asian to receive the ACA (American Creativity Association) Lifetime Achievement Award in recognition of his creativity and innovation in various spheres of endeavour. And in 2011, he was voted Top Thinker in Singapore in the Yahoo! Singapore 9 Awards, a testament to his business innovations and leadership in civic causes. He was presented with CNBC's Travel Business Leader Award Asia Pacific 2012, in addition to being named to the board of Diageo, a British multinational. Born in 1944 in Germany, Horst Julius Pudwill earned a master’s degree in commerce and engineering from Technical College in Flensburg. He spent time in London and Paris, working for Volkswagen and building up its network in Africa. 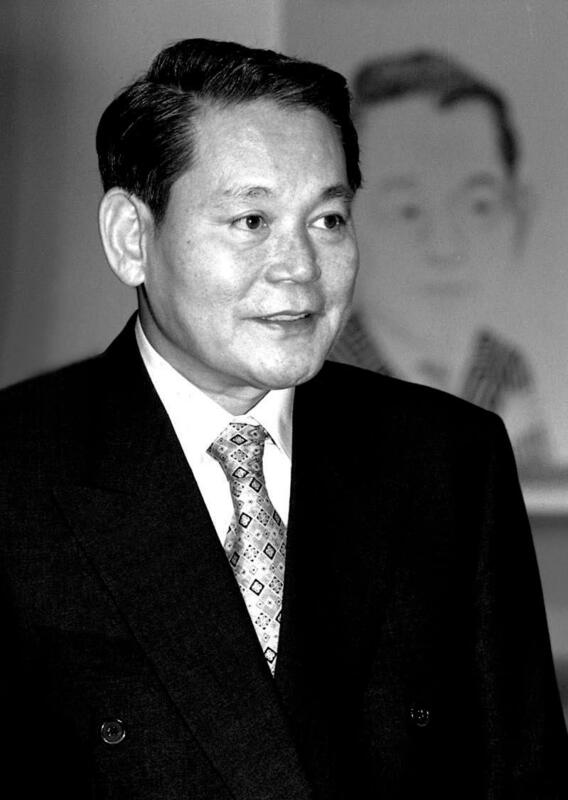 In 1971, he moved to Hong Kong for Volkswagen, leaving the company in the late 1970s. Initially in Hong Kong, Pudwill formed a trading company which included the distribution for Continental Tires, and other customers. By the mid-1980s, he was ready to try his hand at manufacturing. Together with partner Roy Chung Chi-Ping, in 1985 Techtronic Industries (TTI) began manufacturing cordless rechargeable products for third-party brands from an industrial building in Tsuen Wan. By that time, rechargeable cordless power tools were already making an impact on the DIY market in Europe and North America, and outside Japan, there was no major production of such products in Asia. In 1988, TTI became one of the first companies to take advantage of China’s economic reforms by establishing a 221,000 sq.ft. manufacturing facility in Houjie, a suburb of Dongguan. 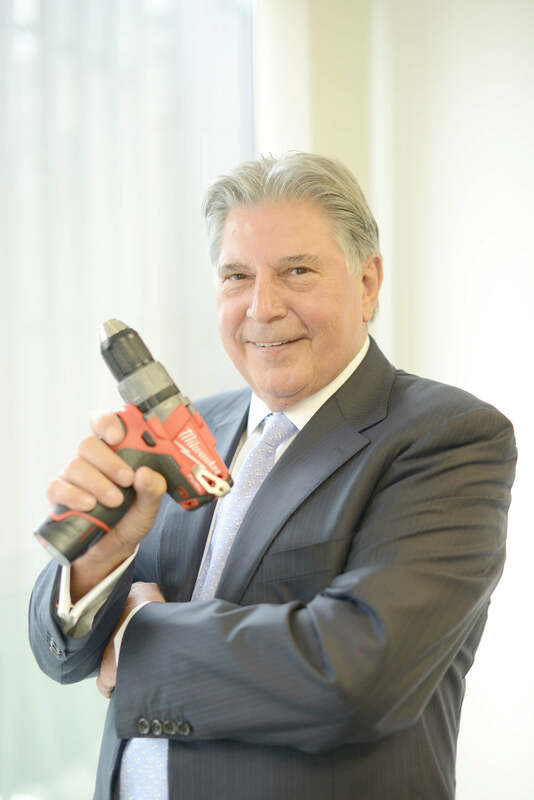 Starting in the late 1990s, TTI transformed itself from an original equipment manufacturer (OEM), by acquiring a portfolio of major international brands, through acquisitions starting in 1999 with VAX, a European floor care company, Ryobi, a Japanese power tool maker between 2000 and 2002, Homelite in 2002, Dirt Devil and Royal in 2003, Milwaukee and AEG in 2005, and Hoover in 2007. Often what makes the car lies underneath the hood. So it is with industrial design that lies at the core of Horst Julius Pudwill’s multi-billion dollar manufacturing business in China. Industrial design at Techtronic Industries, or TTI, is based on a sophisticated global network of “concept centres”, integrating cutting-edge design, ergonomics, and field research. These support a blistering pace of new product development and some of the world’s biggest brands in cordless power tools and floor care equipment. For Pudwill, “The challenge is to have innovation every day – to be better than the competition. We are developing one innovative product after another. We are not a price point company. You are getting quality and our products last longer.” That might not seem unusual today, when government policy in Hong Kong and the mainland promotes innovative design and Hong Kong itself has attracted a growing number of international designers, but in the mid-1980s, when Pudwill started, he had a vision and was far ahead of his time. “In the first ten years when we founded Techtronic Industries ,we realised that we could not go on forever being an OEM manufacturer for other brands, as you became dependent on them and you had no influence on sales and marketing strategies. When you have your own brand, what you put in, you get out.” Relying heavily on cheap labour and remaining at the lower end of the supply chain was never an option for Pudwill, who spent his early years in business with Volkswagen, absorbing the legendary German automaker’s reverence for research and development together with his penchant for design. By the late 1990s, Pudwill was ready to take his game up a notch – to ownership of his own brands. “If you control a brand, you control your destiny,” he says. In 1990, TTI had gone public, listing on the Hong Kong Stock Exchange and making it possible to expand its capital resources. 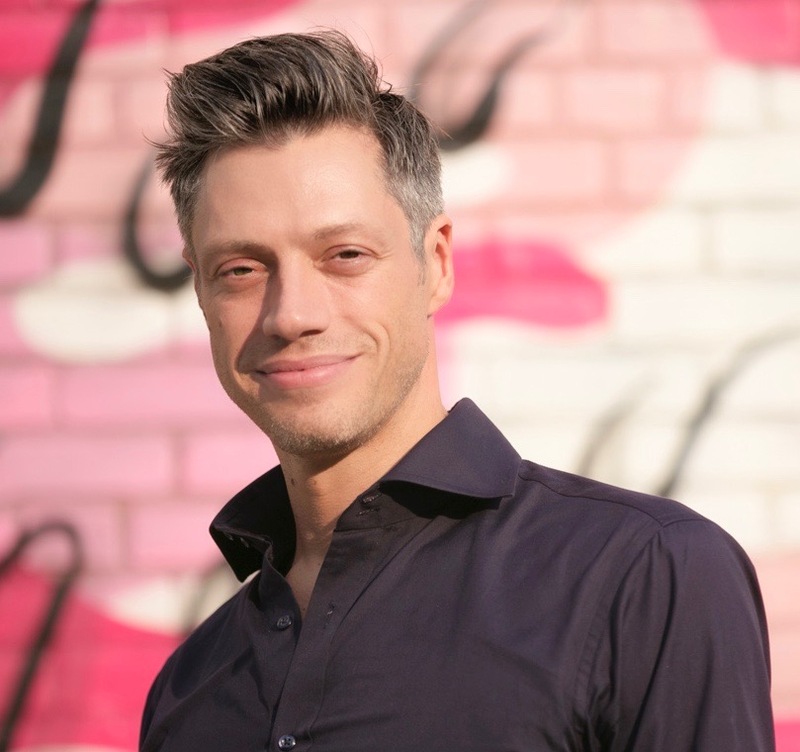 In 1999, Pudwill not only had the strategy to begin acquisitions but also to bring in an industrial designer Alex Chunn into the business. Chunn, who had been working with Ryobi in South Carolina, set up and lead a concept centre that cut across traditional boundaries by putting together product engineers, industrial designers, and graphic designers. Today, the industrial design team in the company’s Hong Kong head office serves as the hub for a network of creative individuals from around the world whose task is to identify new opportunities for products based on intimate knowledge of the work habits and needs of their customers. The industrial design team has worked closely with The Hong Kong Polytechnic University School of Design and other local design institutions, both for recruitment and to share knowledge, but is as international as the brands themselves. Chunn has been deeply involved in building design capacity both in China and Hong Kong, but the design teams in the major geographic and business units lead when it comes to the first stage of design innovation, defining the end-user’s needs. Ghosn’s words neatly present his vision as a leader at Nissan. When Ghosn joined the company in the 1990s, the company was almost bankrupt with debt standing at about US$20 billion. Ghosn promised to turn Nissan around in a year and to resign if the company did not reach profitability. He achieved stardom in Japan when he succeeded. Today, Nissan remains one of the world’s most profitable and innovative car companies and Ghosn’s tenure – as CEO of both Nissan and Renault – is unprecedented - with no other large multinationals sharing one leader. 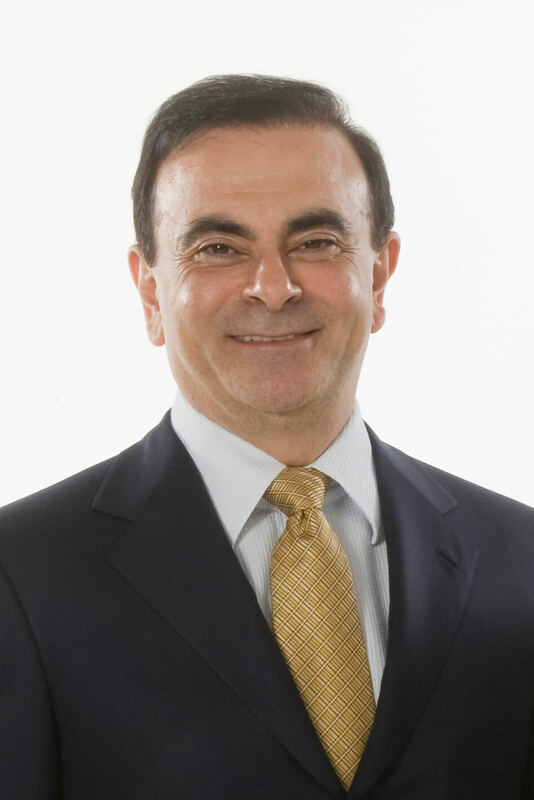 Ghosn joined Nissan in June 1999 as Chief Operating Officer, became its President in June 2000, and then Chief Executive Officer in June 2001. As head of Renault-Nissan, he oversees the combined annual global sales of approximately 7,200,000 vehicles. Renault-Nissan creates one-tenth of all automobiles sold anywhere and was the first Japanese-French partnership of its kind. The company also remains the largest Japanese carmaker in China. During the 1980s and 90s, Ghosn rose through the ranks at Michelin, going from manager of a single plant in France to heading up both the South and North American markets and presiding over the restructuring of the company after its acquisition of Uniroyal Goodrich tires. This Award pays tribute to Ghosn for his business acumen as well as for his extraordinary leadership in supporting the development of design. When Nissan was founded in 1954, it employed just seven designers. Now, more than 900 employees are involved in the company’s automotive design, and Ghosn credits design as being a key factor in the company’s financial comeback. “Design and innovation often determine whether a car sells or stays on the showroom floor”, he says. “Ultimately, design success is measured by our ability to appeal to the totality of a driver’s senses and results in new and repeat customers. Design and innovation have always been at the forefront of Nissan’s growth. Actually, on the eve of my first Tokyo Motor Show, I unveiled the Nissan Revival Plan to journalists, analysts and employees. Of the many points I touched upon then, two remain noteworthy here. First, I emphasised that product development would play a vital role in Nissan’s revival. Fundamentally, a good product can go a long way to changing the dynamic of most companies. Second, I announced the hiring of Shiro Nakamura as Head of Design, fully empowering him to do whatever he felt was necessary to revive Nissan’s design ethic. Another innovative transformation in Nissan’s fortunes is the electric car. Ghosn sees huge potential for such vehicles in emerging economies such as China, India, Russia, and his home country Brazil. He subsequently urged Renault-Nissan to invest in the technology for these affordable zero-emission vehicles. Renault is the first automobile manufacturer in the world to develop a full line up of electric vehicles with the Nissan LEAF receiving significant acclaim upon its 2010 launch. The transformation from over-engineering to frugal-engineering remains one of Ghosn’s key tenets. With today’s world being resource-constrained, there is a need to do more with less. Launched in 2004 as a small, no frills, reliable and energy-efficient family car, the Logan is a classic example of how a car designed with simplified architecture and minimal components can remain modern in design. The model has gone on to be a bestseller both in Europe and in emerging markets. The frugal engineering practiced in India is something Ghosn particularly admires. He established a joint venture with a commercial vehicle manufacturer there to design DOST. The resultant pickup truck is so affordable for that market, and so durable for the rough roads in the country, that fully one out of every three pickups sold to Indian drivers is now a DOST. Ghosn and Nissan as a whole, continue to connect with end-users about the joy design can bring at every customer touch point including car catalogues, show rooms, advertisements and motor shows. For Ghosn, designers are leaders who, like all leaders, need stamina. This is especially true in today’s increasingly global world. And a designer, a leader, does not, cannot work alone! Everyone on the team must have a clear vision of the shared targets and how to reach them. Only with this sense of leadership and alignment can a company move in the same direction and achieve its goals. Designers must be multicultural – if not multilingual – and embrace diversity. With this broad exposure and openness, designers will be able to see the many different reference points in people’s mindsets. They will also be able to understand and respond to people from different regions. “One of the keys to leading an international, cross-cultural corporation is possessing a sincere interest and respect for diverse perspectives and ideas. This is particularly important in the automotive industry because our customers are global. Our vehicles must appeal to a variety of customers around the world – regardless of age, gender or ethnic background. Ghosn has lived in several countries himself and can reach millions and millions of people with his flair and charisma in four languages: Arabic, English, French and Portuguese. (He is also gaining proficiency in Japanese.) Over the years, he has written books, starred in a film, given innumerable media interviews, attended countless global car shows and received many prestigious awards. He spends about one third of his time in Japan, another third in France, and the final third traveling between regions, meeting employees and customers – both existing and potential. Yet, for all the transformations involved in his global and corporate life, Ghosn’s longstanding basics remain central. Family. A good night’s sleep. The hometown. Despite his hectic schedules, Ghosn makes sure he always spends quality time with his wife and their four kids. Among all of the awards he has won throughout his career, the title he probably treasures most dearly came in 2001 when a leading community group in Japan named him “Father of the Year”. While Ghosn may be called ‘Seven Eleven’ in Japan for his hardworking nature and for the long hours he keeps, he believes in waking up at a regular hour and never attempting tasks beyond a certain time of day. Carlos still sees Brazil as home, even though he left the country as a toddler to be raised in Beirut by his grandmother and receive his eventual education in France. While multilingual, multicultural, and heading up a multinational, Rio de Janeiro remains very much his hometown. Visitors to Taiwan are always impressed by the large and intimate, now iconic, Eslite Bookstores whose customers visit in throngs to quietly read in a corner or comfortably browse their rows of beautifully displayed and selected books. Taipei’s Eslite Xinyi is the group’s flagship store, open 24 hours a day and located on the fringe of the prosperous and vibrant Xinyi Project District 101, carrying 200,000 different book titles with a million physical copies in stock. Dedicated to the humanist spirit and the opportunities that learning and books offer, Eslite is the longest-running, largest and most important platform for launching any new book in the humanities, arts and for the publishing industry, indeed, for any creative venture in Taiwan. “Eslite is a cultural phenomenon,” says Eslite founder and Design for Asia Award recipient C Y Wu, “it’s actually a collective creation by all Taiwanese people.” Over the last 22 years, Eslite has nurtured a thriving book culture supporting nearly 40 multi-functional bookstores offering a wide range of knowledge products and an aesthetic for living. Every year, about 100 million people visit its bookstores – a presence that has become part of Taiwanese people’s daily life, and a huge influence on style and the sensibilities of Taiwanese society. Prior to opening Eslite, Wu had a successful food and catering business, but in 1989 inspired by reading and books, he reconsidered his own direction in life: “I thought, if I could start my life all over again, what would I want to be? Where would I want to take my life?” He always believed that books are the greatest human creation; and, although not knowing anything about the publishing industry, he decided to open an arts and humanities bookstore. Eslite was born. The name ‘Eslite’ reflects Wu’s values. The word “eslite” is old French, meaning “elite”. In Chinese, the name comprises two characters: 誠品. The first, 誠, speaks of sincerity and commitment to the well-being of fellow citizens. The second character, 品, refers to an adherence to professionalism and making prudent choices. In short, the name reflects the bookstore’s dedication to and its pursuit of a harmonious and fair society. Eslite defines a member of the ‘elite’ as “anyone who makes the best out of the beauty in life”. “Eslite is my life’s work and purpose - to propose a set of values, this is the main aim of its business operations, they are: humanities, art, creativity and living. It is not about making a profit; neither is it to emulate other successful businesses.” Because Wu’s motivation for running Eslite was never profit, he has adhered to his ideals and invested his own money into the bookstore for its first 15 years in operation. Over time, Eslite has become widely respected for its success in the promotion of culture and encouragement of book reading among the community. The number of Eslite bookstores keeps growing and follows an interlinked, but not repetitive business strategy. Each bookstore becomes a landmark in the location in which it opens (“I’ll meet you at Eslite!”) and the bookstores have also opened in underground train stations and hospitals, so it keeps expanding the number of people it can serve and interact with. Eslite has diversified its business operations to include operating department stores, tourism, product design, real estate development and management. This diverse and considered operating strategy has placed Eslite on the list of Top 20 Retailers cited by Monocle magazine and one of the Top 100 Taiwanese brands in the service category for “cultural and creative venture services”. For the last twenty years, Eslite has worked with many outstanding Taiwanese architects and designers including Kris Yao, Ray Chen, Hsueh-Yi Chien, Sheng-Yuan Huang and J. M. Lin, to create a unique interior spatial language and a spiritual sensibility for each bookstore. The new Yilan Eslite is a good example. Architect Sheng-Yuan Huang is passionate about local Yilan culture and its northeastern Taiwan landscape and scenery; and, he successfully incorporated local materials and images of the area’s natural and rural sights into the design for the bookstore. Tightly bound with the books available in each Eslite Bookstore is the diverse range of cultural activities also offered, including book launches and readings, lectures, public forums and art exhibitions. Landmark events have been and continuing, the Eslite Lecture, which began in 1997, which launched a new era of public lectures for people in Taiwan. Eslite Good Reads was introduced in 2000, setting a trend for reading books on the humanities, creative writing and the aesthetics of living, as well as Chinese-language publishing in Taiwan. Eslite also collaborated with the Taipei Municipal Fine Arts Museum in 2009 to organise mainland Chinese artist Cai Guo-Qiang’s ‘Hanging Out in the Museum’ exhibition, which drew 220,000 visitors, setting an attendance record for a contemporary art exhibition in Taiwan. Two significant bookstores will be opening in the near future. In 2011, Eslite made the decision to enter the Hong Kong and China (in Suzhou) markets – both have great opportunities. “China is a huge market rarely seen before in human history. Eslite is tiny, so we must stick to our own values and strategic beliefs; we must be clear in our mind about what we want to do before we can maintain our unique operation model. Otherwise, we’ll just be running round in circles and achieve nothing even in several lifetimes.” Mr Wu said. He hopes Eslite Bookstores in Suzhou and Hong Kong will provide a space for people to relax their body and soul, embrace humanity, nurture their artistic sensibilities, live fairly with and share that space with their neighbours. Both bookstores will become an intrinsic part of each city, a space that people cannot live without, and a safe haven for people to anchor their troubles. “In any city there are tens of millions of souls and hundreds of millions of different moods. Everyone is experiencing some kind of emotion, be it happy, angry, sad or elated, as they arrive at different life stages, with various moods and experiences. We hope to use a “be good to people” approach, promote a positive, friendly atmosphere so people can generate positive energy,” said Wu. Born in 1947, Sir James Dyson is an industrial designer popularly known as the founder of Dyson Ltd, an international multi-billion dollar business selling industry-leading vacuum cleaners, fans and hand dryers. 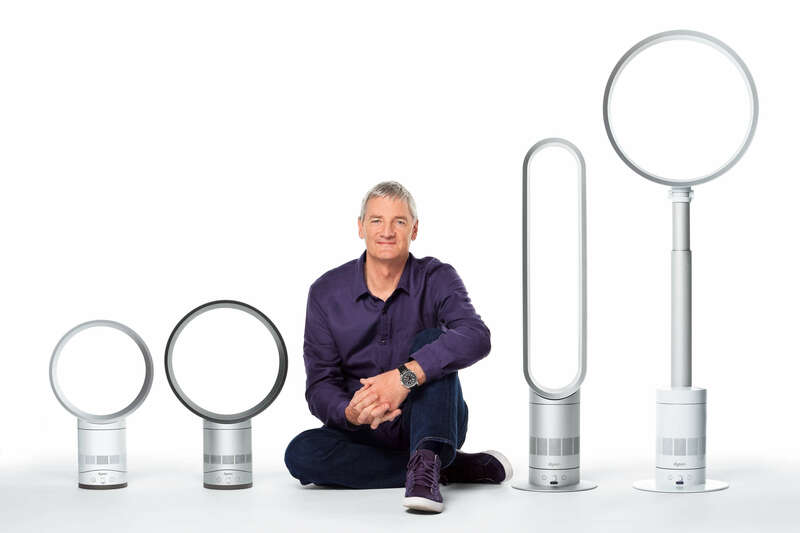 Revered as the quintessential archetype of the design-led businessman, Dyson’s visionary approach continues to remain driven by invention, ingenuity, design and perseverance. Fascinated by design and engineering at an early age, the young Dyson designed his first product, the Sea Truck, in 1970 while still studying at the Royal College of Art. Infected by this passion for engineering, design and practical problem solving, he continued to pursue his passion by developing a new kind of wheelbarrow – one with a conspicuously large ball that does not sink into mud. There's a common misconception about invention being an automatic consequence of genius, requiring very little effort. Hardly ever the case, for Dyson it is a far longer and iterative process – endlessly attempting to refine, and changing one small variable at a time. Design of Dyson’s first commercial success, the Dyson (Dual Cyclone) DC01 vacuum, would transpire across years of development with over 5000 prototypes. "I wanted to give up almost every day. But one of the things I did when I was young was long distance running, from a mile up to ten miles. They wouldn't let me run more than ten miles at school - in those days they thought you'd drop down dead or something. And I was quite good at it, not because I was physically good, but because I had more determination. I learned determination from it," comments Dyson. Building on the foundational achievement earned by the Dual Cyclone01, the world’s first bagless vacuum (achieving notable success in the UK), Dyson would later establish his eponymous company as a purveyor of real engineering innovation, and audaciously expanded the business from the UK into Europe, and eventually the US, Asia and the rest of the world. Inside every Dyson vacuum cleaner is a unique cyclonic separation system that removes dust and other particles from the air stream. Dirty air enters a conical container called a cyclone, where it is made to flow in a tight spiral. Centrifugal force throws the particles out of the airflow onto the wall of the container, from which they fall into a bin. A distinct focus on new breakthroughs has served to help Dyson introduce new and better solutions to its vacuum lineup, developing about 35 different models of vacuum cleaners (25 of which are still currently marketed) throughout the company’s history. Categorized under three types of usage for heavy duty, handheld, and the more compact editions, Dyson vacuums, whilst versatile and powerful, are specifically designed to address even the most particular of needs. The DC31 Animal, for instance, is a handheld vacuum cleaner designed for homes with pets. An extremely nimble, lightweight design renders the product ideal for quick pick-ups and spot cleaning. The larger upright DC24 Multifloor, on the other end, carries forward a series of engineering and design refinements that resourcefully make this heavy-use vacuum functionally attractive and less cumbersome. A large yellow ball allows the vacuum to ride with great maneuverability even during use for a variety of surfaces. Consumer innovation in other areas includes the Contrarotator washing machine, Airblade hand dryer and the Air Multiplier fans. Designed as a series of models, the Contrarotator was the world's first washing machine to operate with two counter-rotating drums (spinning in opposite directions). Considered the world’s first hygienic commercial hand dryer, the Airblade uses Dyson's Digital Motor to produce an extremely powerful stream of air which can dry hands in no more than 12 seconds. Most recently, the Dyson Air Multiplier, designed to replace the desktop or window fan, provides smoother airflow and safe operation under a simple but popular premise: the fan is bladeless. Based out of Wiltshire, England, the company’s headquarters, better known as the Dyson Research, Design and Development Centre is home to 350 engineers. Selling a succinct collection of home appliance products, Dyson and its innovative brand of products are cherished by consumers across Europe, America, Asia, and other regions. Today, Dyson’s products can be found in over 45 different countries. For Dyson, the commitment to inspire a new generation of designers and engineers serves a crucial priority. The annual James Dyson Award was founded as a means for cultivation by asking students from around the world to engineer solutions to everyday problems. Past contenders have included such designs as fold-up scales, a new kind of hammer, and an iron you can wear like a glove. 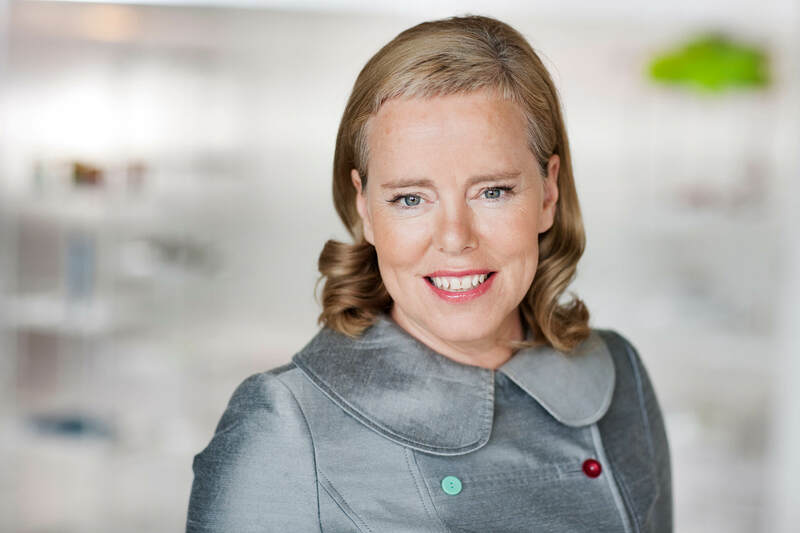 KIGGE HVID has led the development and growth of INDEX: since her appointment as founding CEO in 2002. New concepts – developing them, testing them and implementing them – are the hallmarks of her acclaimed work in leadership roles both in business and organizational settings. In leading the Danish government's mandate to advance the humanist tenets of Danish design, Kigge is a frequent panelist and theme-setter at the World Economic Forum's annual meeting in Davos and is a member of the Forum's Global Agenda Council on Design. She also sits on the board of Engro Chemical Pakistan Ltd., a major fertilizer manufacturing and marketing corporation with products focused on balanced crop nutrition and increased yield for farmers. The recipient of an honorary doctorate in 2006 by the Art Center College of Design in Pasadena, California, Kigge brings to her direction of INDEX: a fluency in the related languages of designers and of social entrepreneurs. This is reflected in her frequent international appearances as the main proponent today of Design to Improve Life. Yang Yuan-qing is Chairman of the Lenovo Group. Prior to assuming his current position, he was the President and Chief Executive Officer of Lenovo. Yang joined Lenovo in 1989 and became CEO in 2001. Under his leadership, Lenovo has been China's best-selling PC brand since 1997. In 1999, Lenovo ranked first in PC sales in Asia-Pacific (excluding Japan) and has maintained this position ever since. Under Yang’s leadership, Lenovo was listed as a Fortune 500 company in Fortune and topped the rankings of the Financial Times’ 2007 Top 10 Chinese Global Brands Survey. Yang expanded Lenovo’s distribution network, and established highly efficient customer service networks. Likewise, Yang helped pioneer the ‘Home PC’ concept, which would successfully establish new business operational models for small and medium enterprises. Yang has been pivotal in Lenovo's conversion to a transnational enterprise, guiding the company to become the International Olympic Committee's worldwide partner in March 2004. In December 2004, when Lenovo acquired IBM’s PC Division, Yang emerged onto the world stage as the first Chinese executive to lead the takeover of an iconic Western business. Subsequently, integrating new businesses and different cultures has become one of Lenovo’s core competencies. 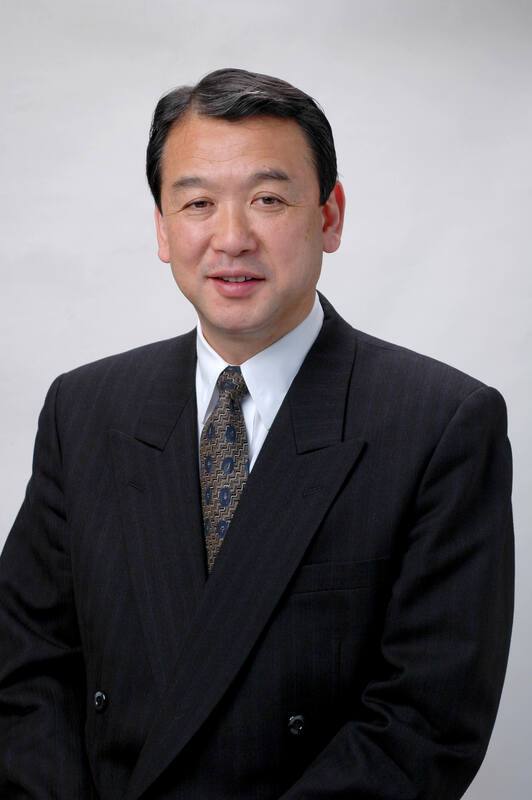 Tadamitsu Matsui is President and Chief Executive Officer of Ryohin Keikaku Co., Ltd., parent company of household goods retailer MUJI. Matsui leads the company in its pursuit of maintaining and perfecting a philosophy of quality, value and sustainability. His forward-thinking business abilities and management strategies has been pivotal in transforming MUJI from a localized Japanese company to a worldwide phenomenon that is beyond just being a brand. To many, MUJI is a way of living: simple, elegant, refined and environmentally responsible. And its products: the manifestation of these ideals. In his aspiration to lead MUJI forward, Matsui has remained steadfast and resolute in the face of global competition. Staying true to the MUJI approach, the MUJI President has turned the complexities (much to the credit of a clear focus on design, production and customer devotion) of balancing the pursuit of profit, growth, sustainability with quality and cost effectiveness, into something of an art form – proving that cost efficiency does not equate to a sacrifice in quality. James P Hackett is President and Chief Executive Officer of Steelcase Inc, the global leader in the office furniture industry. Steelcase delivers a better work experience to its customers by providing products, services and insights into the ways people work. Its portfolio includes architecture, furniture and technology products. The company and its subsidiaries have dealers in more than 800 locations and approximately 13,000 employees around the world. Fiscal 2006 revenue was $2.9 billion. Hackett oversees all operations of Steelcase Inc, including domestic and international operations. He is a member of the company’s Board of Directors. The Design Leadership Award was presented to Kun-Hee Lee, Chairman and CEO of Samsung. Under his leadership, Samsung has successfully leveraged design excellence and advanced technology to achieve great business success. Lee has long played a leading role in applying design within Samsung, and has consistently demonstrated outstanding business performance. He has made a significant contribution to support the development of design in Samsung, as well as within the design industry. His contribution to the development of design in Korea, as well as the international community, is remarkable.